Gurnett is an uncommon surname whose origin is not known. There is also a fish called the gurnet, and there is a place called Gurnet Point near Cape Cod in Massachusetts. In England there is a place called Gurnett near Macclesfield. In old records the surname is variously spelt in Bucks as Gurnet, Gurnitt, Girnet and Gurnett but today is always spelt Gurnett. It is not to be confused with the Gurney or Garnett which are separate surnames in Bucks. As far as we can make out, all of the Gurnetts in the world can probably trace themselves back to one of two Gurnett branches, one from Bucks and one from Essex. The surname in Essex maybe connected to a Ricardus Gernet who is mentioned in the Domesday Book at Chigwell in Essex and he was a Norman who came with William the Conqueror. There are references to Gurnetts in the Bucks, Oxon and Northants area from the early 1600s. 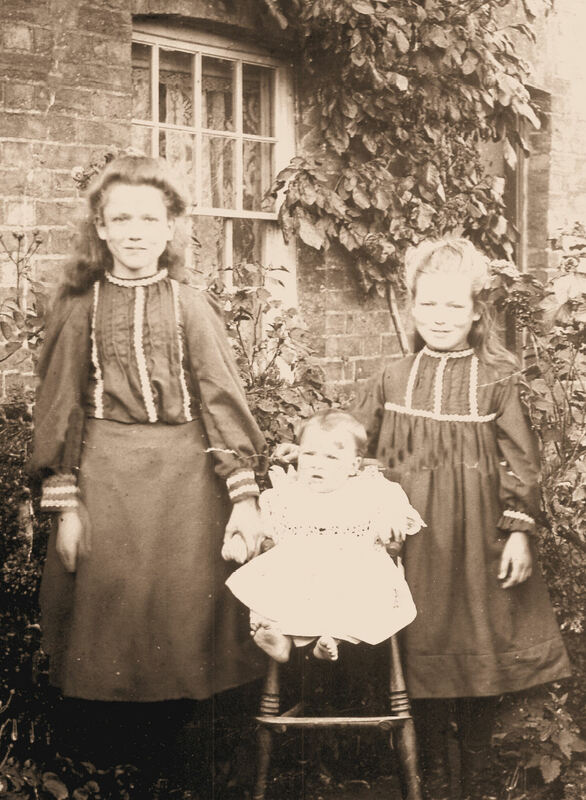 There was a Gurnett family living for many generations in Buckingham throughout the 1700s, which is probably the origin of the Swanbourne family. The first mention of a Gurnett in Swanbourne is found in the Enclosure records of 1762 when Edward Gurnett was awarded 39 acres in lieu of land he was already farming, and there is still a field in Swanbourne called Gurnett’s Ground. He also farmed 50 acres of land at Ford near Dinton. He married Ann Hitchcock in Dinton Church on 13th January 1761 and in 1762 they had a son Benjamin. Edward Gurnett died soon after since Ann Gurnett is recorded as a widow in 1765. The family seem to have been Baptists, and the Baptist connection may be what brought Edward Gurnett to Swanbourne. The second recorded mention of a Gurnett in Swanbourne is when Benjamin Gurnett (1762-1839) married Rebecca Brome at Swanbourne Church in 1787. Benjamin and Rebecca Gurnett had three sons: Benjamin Gurnett (1789-1866), John Gurnett (1794-1865) and William Gurnett (1800-1837). 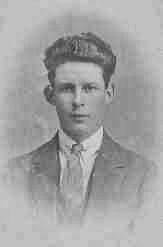 William Gurnett seems not have had any children but it is from Benjamin and John Gurnett that all the Gurnetts in Buckinghamshire, in two distinct family groups, descend. The family were part of Swanbourne Baptist church where some were buried in its grounds. Benjamin Gurnett married three times. By his first wife Arabella he had a son John Gurnett in 1815. Arabella died the same year. In 1818 Benjamin married secondly Sarah Claridge by whom he had a son William Gurnett in 1825. In 1833 Benjamin Gurnett married thirdly Sarah Pitkinand he adopted her illegitimate son Thomas Pitkin (1826-1910), who was examined by the Royal Commission on Old-Age Pensions. The brothers John and William Gurnett both enlisted in the Royal Marines, and according to family tradition they both fought at the Battle of Inkerman in the Crimean War 1854-1856. William Gurnett (1825-1887) married Charlotte Alderman in Woolwich in 1862 and they lived at the Marine Barracks in Woolwich where their first two children wereborn, but they returned to Swanbourne in 1867. William and Charlotte Gurnett had eight children. This family joined the Primitive Methodist church, and many of their descendants still live locally in Bucks to this day, including some in Swanbourne. Mary Alice Gurnett (1869-1948), daughter of William and Charlotte Gurnett, married John Harris Spittles (1868-1950) in 1897 and they lived at Great Missenden. They donated the clock which is still used in the Methodist chapel. Many of their descendants still live in Bucks but two of their sons John Edward Spittles (1902-1992) and George Edward Spittles (1904-1997) sailed to Fremantle, Australia in the 1920s and their descendants live in the Perth area of Western Australia. Their other son William Gerald Spittles (1909-1942) was killed in action at El Alamein in 1942, and appears on the war memorial at Great Missenden. to have had no children, but the Gurnett descendants of William Gurnett (1854-) and Henry Thomas Gurnett (1857-1908) still live in the Plumstead area to this day. John Gurnett married Elizabeth Anstee in Swanbourne Church in 1821. They had sons Benjamin Gurnett (1821-1904), John Gurnett (1829-1917) and Charles Gurnett (1833-1899). John Gurnett and his family moved to Kensington and their descendants live in London. 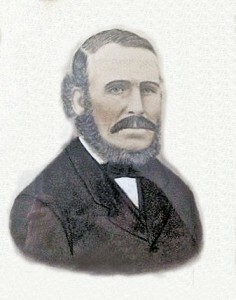 Charles Gurnett (1833-1899) married Elizabeth Wilmore in 1852. They emigrated to Sydney, Australia in 1855 on the “Samuel Boddington”. Their Gurnett descendants live in the Sydney area to this day. Benjamin Gurnett married Jane Prior and they had three sons James Henry Gurnett (1850-1888), William Gurnett (1852-1923) and Thomas Gurnett (1855-1919). William Gurnett (1852-1923) married Elizabeth Adams and their family remained in Swanbourne and live locally. James Henry Gurnett (1850-1888) married Mary Ann Goldney (1844-1932) of Rowsham and they settled in Wingrave. They were connected to Wingrave Congregational church. Dinton parish records, Swanbourne parish records, Swanbourne Baptist records, Swanbourne Methodist records, Gurnett Family Bible.